He may live in Brooklyn, Los Angeles, Austin, or maybe Portland....Good Grief! 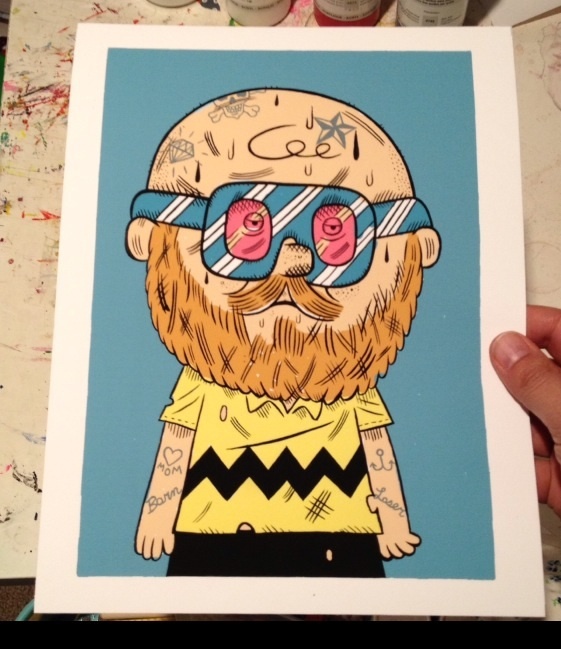 He's hipster Charlie Brown. High quality giclee printed on Entrada Rag Bright 290gsm paper using archival inks. Image measures 11" x 8" with a 3/4" white border. (paper measures 9 1/2" x 12 1/2") This art was made by me with india ink and a brush and then digitally colored. Unframed. Signed and numbered edition of only 50. Signed on the bottom in Pencil. All prints are shipped securely in a acid free sleeve with cardboard backing.